Since the theory of evolution does not meet the criteria of a scientific theory, educational systems must only teach biological evolution as a philosophy—not as a science. Posted on January 11, 2016, on Darwin, Then and Now, which seems to be a blog publicizing a self-published book of the same title (2009) by Richard William Nelson, it was commended to my attention by no less a figure than Kent Hovind. Mayr made fundamental empirical and conceptual contributions, not only to evolutionary biology but also to its history and philosophy. As a principal architect of the Modern Evolutionary Synthesis, he played a pivotal role in integrating seemingly divergent research traditions, helping to bring a new coherence to evolutionary theory based on genetics, systematics, and biogeography. His classic works Systematics and the Origin of Species (1942) and Animal Species and Evolution (1963) introduced the biological species concept and offered detailed explanations of the mechanisms of speciation…Prolific to the last, in his retirement he wrote such books as What Evolution Is (2002) and What Makes Biology Unique? (2004). Even before attempting to locate Nelson’s source, there are already two problems evident. First, there’s the final phrase “like the physical sciences.” To say that biology is not a science like the physical sciences is not to say that biology is not a science, just as to say that basketball is not a sport like the bat-and-ball sports (i.e., baseball, cricket, etc.) is not to say that basketball is not a sport. The passage simply fails to support the inference that Mayr thought that biology was not a science. Second, there’s the interpolation of “evolution” as a gloss for “biology.” The two terms are not synonymous, of course, and Mayr didn’t think that they were. It might be suggested that if biology is not a science, then, since evolution is part of biology, evolution is not a science. But that argument is invalid—it commits the fallacy of division—and so a further argument would be needed to infer that evolution is not a science, even supposing for the sake of argument that Mayr thought that biology was not a science. It will not come as a surprise that, once the original source of the passage is found, there is nothing in it to support Nelson’s use of the quotation from Mayr. Nelson provides no link or citation for the quotation from Mayr, but it evidently comes from a July 6, 2004, interview of Mayr, on the occasion of his hundredth birthday, with Scientific American. The interview began with questions about Mayr’s then forthcoming book, What Makes Biology Unique? (2004). In the book, Mayr explains to his interviewers, “I show that biology is as serious, honest, legitimate a science as the physical sciences…Biology has exactly the same hard-nosed basis as the physical sciences, consisting of the natural laws.” And he refers in the same interview to a “series of six sciences beginning with embryology and ending with genetics,” including “Darwin’s and Wallace’s evolutionary biology,” which together form the science of biology. There’s no question that Mayr regards biology, and evolutionary biology, as sciences. It is amply clear from the interview and from the contents of What Makes Biology Unique? that Mayr is not derogating the scientific status of biology or of evolutionary biology. Rather, as he explains in the introduction to the book, “biology is a bona fide science, even though it has some properties that are not found in the physical sciences. What is important, however, is that biology has the indispensable characteristics of true sciences such as chemistry and physics.” What he is concerned to dispute is any philosophy of science that would require biology to have all of the properties of the physical sciences and thus would either misunderstand biology or deprecate it as unscientific. Misrepresenting Mayr as himself deprecating biology as unscientific is a complete reversal of his position. Poking around Darwin, Then and Now, I note with amusement that Nelson quoted the same passage from Mayr to the same effect before, in 2014, 2013, and 2009 at least. It makes me feel better about being in a rut. 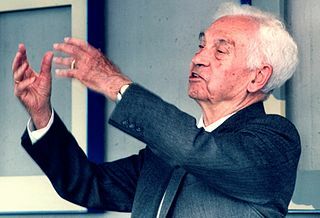 Photograph: Ernst Mayr in 1994, after receiving an honorary degree at the University of Konstanz. From Axel Meyer, “On the Importance of Being Ernst Mayr,” PLoS Biology 3 (5): e152. Used under the Creative Commons Attribution 2.5 Generic license.